We desire to be a place where you and your family can come to know our wonderful Savior and Lord, Jesus Christ, and His love and purpose for you. We strive to create an atmosphere of fellowship where you can feel accepted, loved, encouraged, and also challenged in your spiritual journey. Our Mission Statement: Our church (and the universal Church) exists to introduce nonbelievers to Jesus Christ, to care for others by demonstrating God’s love, and to help each other grow in our faith and knowledge of Him so we will honor God with our lives. Our mission statement reflects the five purposes that God has for His Church (and individual Christians) as discussed by Pastor Rick Warren in his book The Purpose-Driven Church. Those five purposes are (1) Evangelism, (2) Discipleship, (3) Ministry, (4) Worship, and (5) Fellowship. We, at the Forest Center Church of the Nazarene, believe that these Scriptures and many others clearly tell us that our purpose and priorities as a church and as individual Christians are to love and obey God first and foremost and then to love and serve one another in God-honoring and God-pleasing ways. Our intentional goal is to incorporate one or more of these five purposes into our church’s ministries, programs, outreaches, activities, and events. 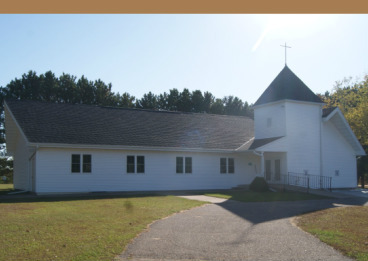 For more information about our church's ministries, click on the link below. For more information about our church's events and activities, click on the link to our calendar below. To find out more about our church's history, click on the link below.